Community Health Forum® is the only national publication dedicated exclusively to news and issues surrounding health care delivery to the medically underserved and the community-based health care providers whose mission is to serve them. Learn more about our advertising rates and ad file specifications. Certain NACHC membership categories include a subscription(s) to Community Health Forum® as a member benefit. You may also purchase a subscription. Reprint requests should be sent in writing via e-mail to cgibson@nachc.org. The request should include the title of the article, the issue in which it appears, the number of copies to be reprinted and the intended use for the reprint. 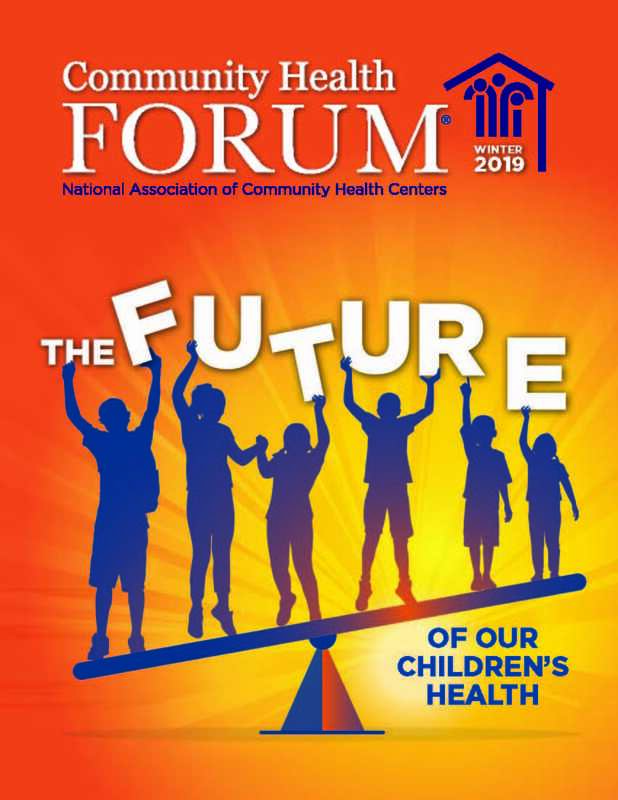 Click the issue cover below for selected content from the most recent issue of Community Health Forum®. For more information about Community Health Forum magazine, please contact Erica Addison at eaddison@nachc.org.